Right across the Delaware River and adjacent to the Philadelphia Penn's Landing Riverfront Area is the Camden Waterfront Aera. 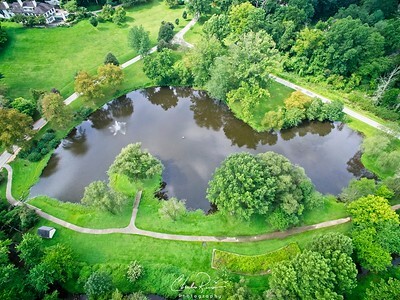 This is an Aerial Photograph that captures growth and regeneration of this entire area. Follow these paths and they lead to two circular memorials. 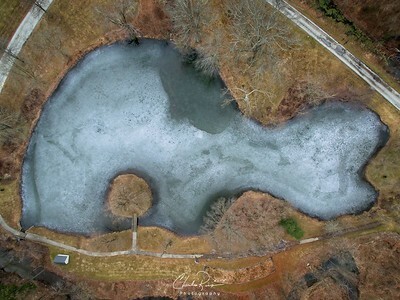 From the air, the design takes on a very interesting look. 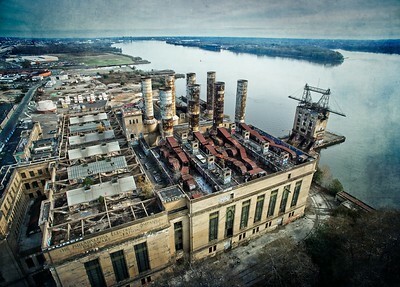 This 125-year-old 19-century abandoned power plant sits on the Philadelphia waterfront. 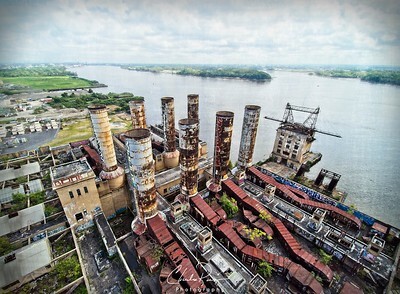 Rusted metal and graffiti mark these 80m ft smokestacks. 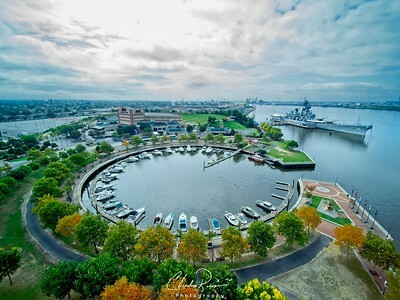 Between the Camden Aquarium and that big Historic Battle Ship, New Jersey Is Wiggins Park & Marina as seen in the foreground. 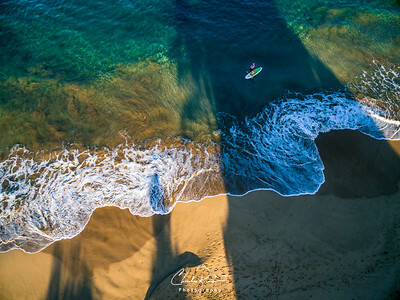 Cool place to visit Passing by I just could not resist getting my hexacopter up in the air and grabbing a few photographs from this perspective. 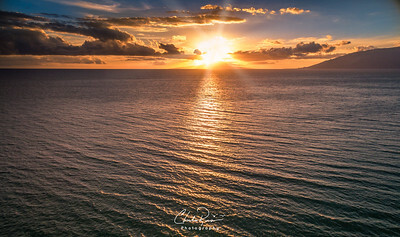 The most amazing thing about Maui is its gorgeous beaches and outstanding sunsets. This sunset was taken at about 100 ft above the water. Cheers! 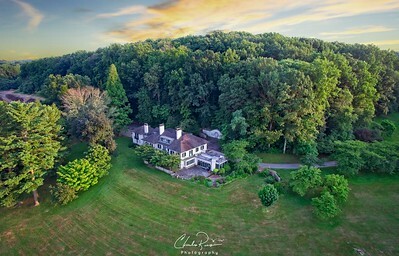 The Willows is a 47.5-acre estate purchased by Radnor Township in 1973 from the Zantzinger family. Situated at the end of a long, winding driveway is the beautifully restored three-story mansion. The mansion was built in 1910 for John Sinnott Jr., for his wife, and referred to as Rose Garland. The mansion and 47.5 acres that now make up the park were purchased by Clarence Geist in 1937 as a wedding present for his daughter. Monolitcic smoke stacks tower above fishtown skyline adjacent to Penn Treat Park in Philadelphia. 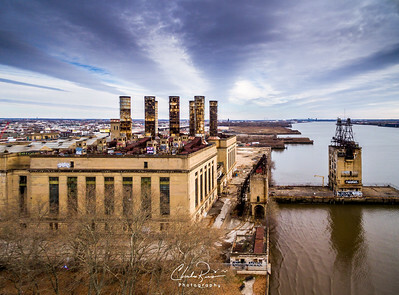 This is a 99 year old abandoned Philadelphia PECO Power Plant sits on approximately 220, 000 square feet of Philadelphia waterfront. 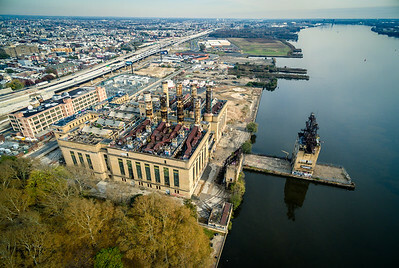 On the right is a coal receiving dock with leads to the 6 story Port Building and the main power plant building is seen on the left. 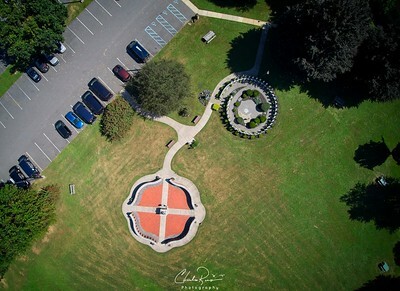 The plant was designed in 1917 by famous civic Architect John Windrim. The plant is historic neighborhood landmark. 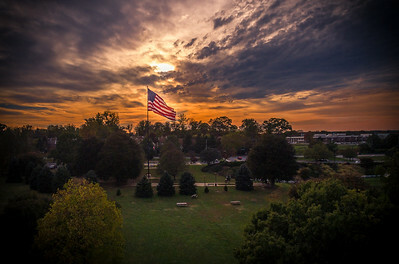 The American Flag presented in Rose Tree Park, © Charles Ragucci All rights Reserved. 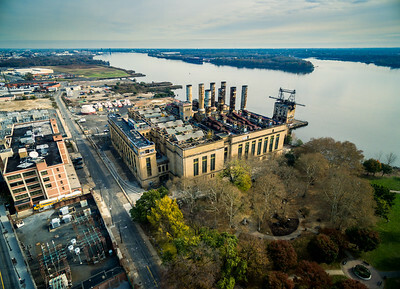 Penn Treay Park sits adjacent to the Old Delaware Power Station. Fishtown Area Philadelphia © 2017 Charles Ragucci All Rights Reserved. Fishtown area of Philadelphia with the city in the background. © 2018 Charles Ragucci All rights reserved. 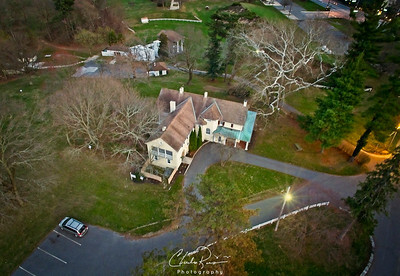 Aerial drone imaging of The Old Rose Tree Tavern is a historic inn and tavern located in Rose Tree Park just north of the borough of Media, in Upper Providence Township, Delaware County, Pennsylvania. It was built in 1809. 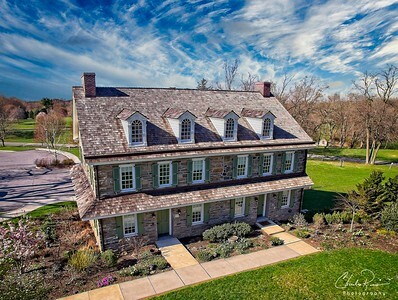 John Calvert was granted the land that the tavern stands on in 1682 by William Penn.The tavern was restored and is in the national register of historic places. Aerial panorama of Fishtown neighborhood in Philadelphia on a chilly November Morning. Route 95 appears in the middle of the image. 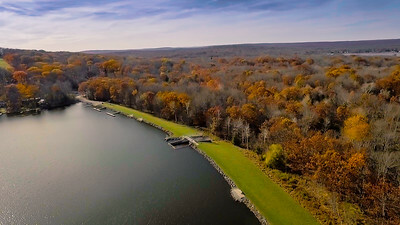 The name "Fishtown" is derived from the area's former role as the center of the shad fishing industry on the Delaware River. The Delaware River is right behind me, I could step in it. 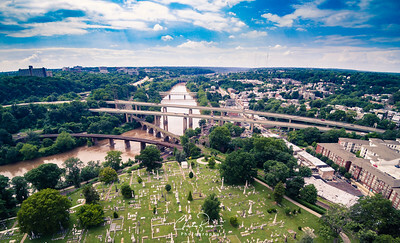 All images in this website copyrighted by Charles Ragucci Photography. All rights reserved.